Hello everyone! Today is my day to be on the Sunny Studio Stamps blog and I'm here to use the previously released Harvest Happiness stamp set. 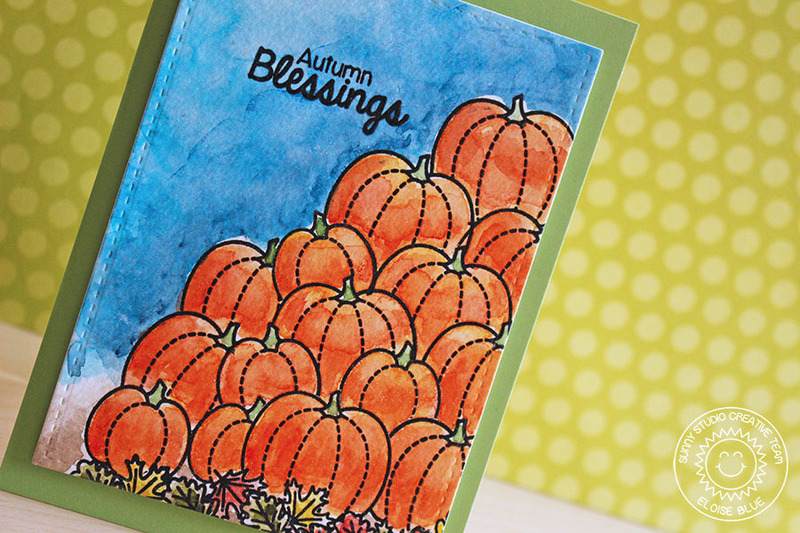 This is a fun one with the pumpkins so I decided to layer them up for todays card.